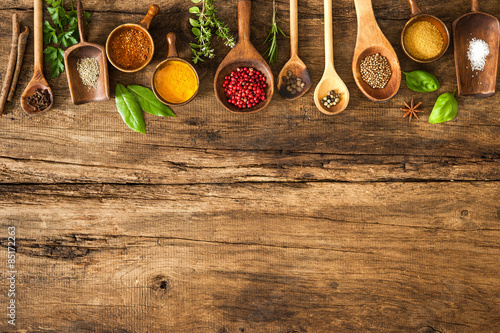 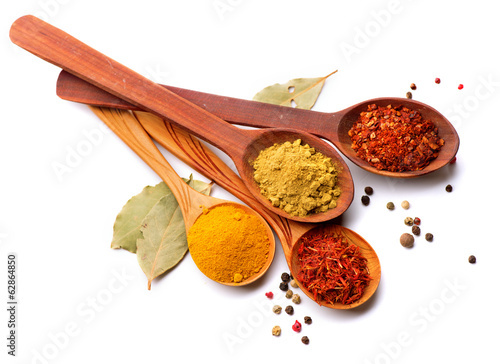 Various spices and herbs on wooden board. 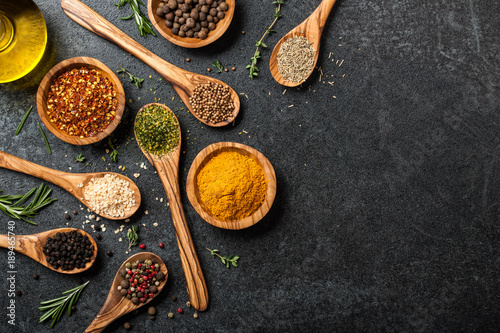 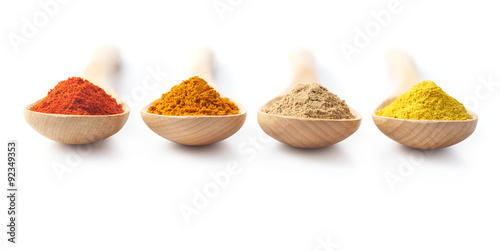 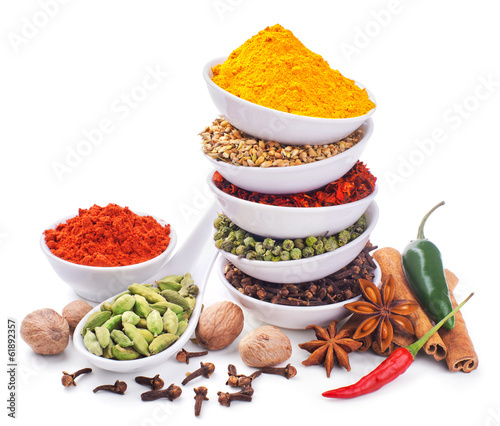 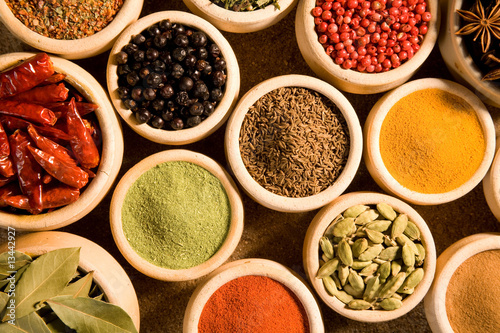 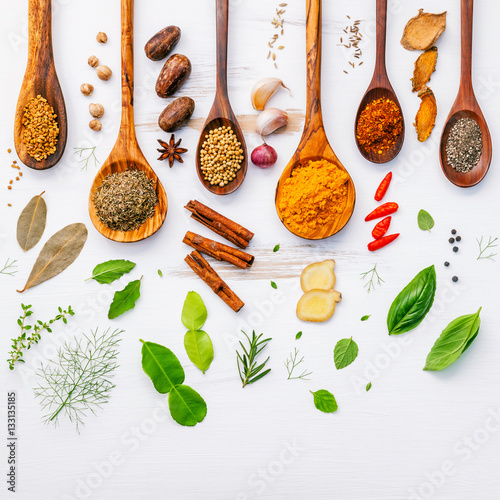 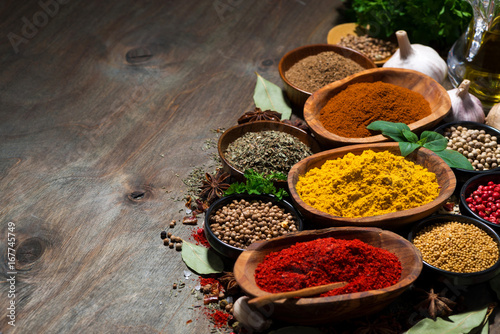 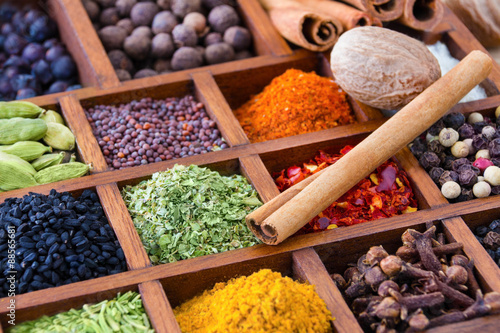 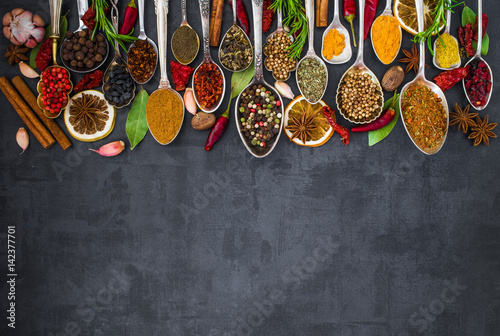 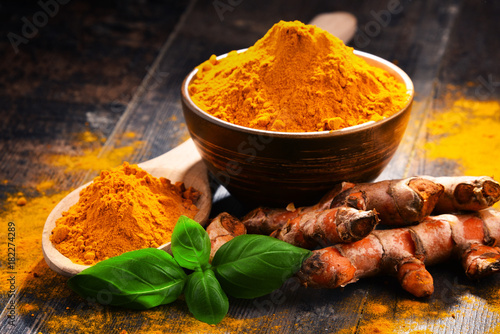 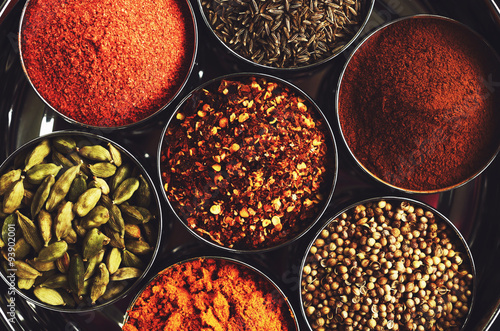 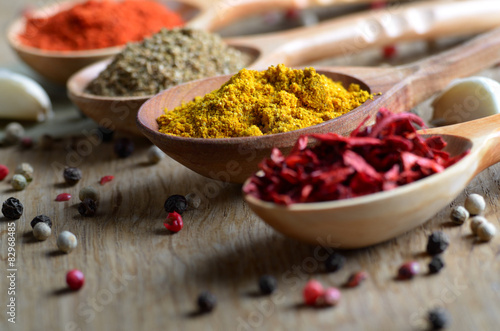 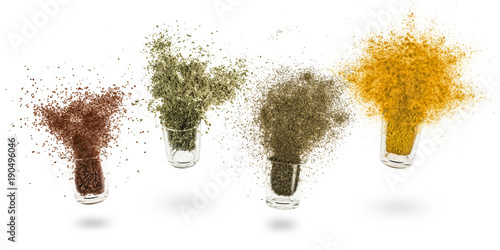 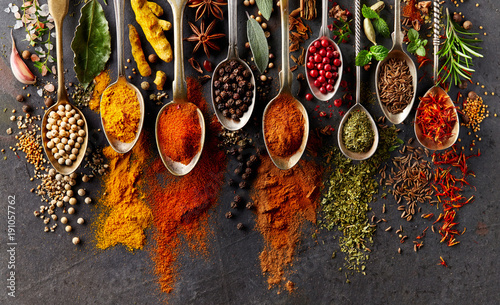 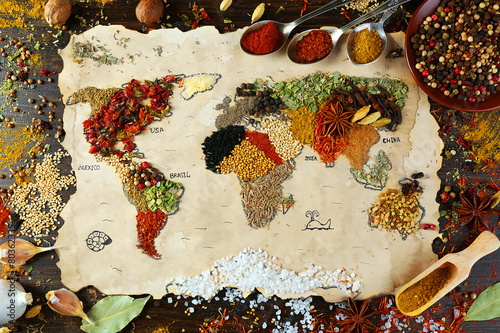 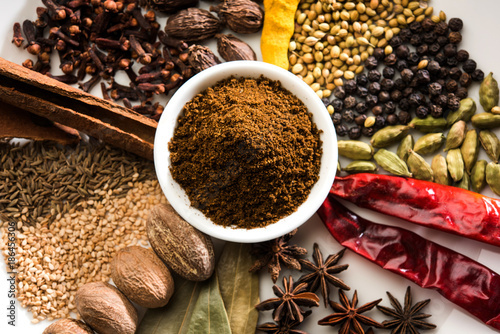 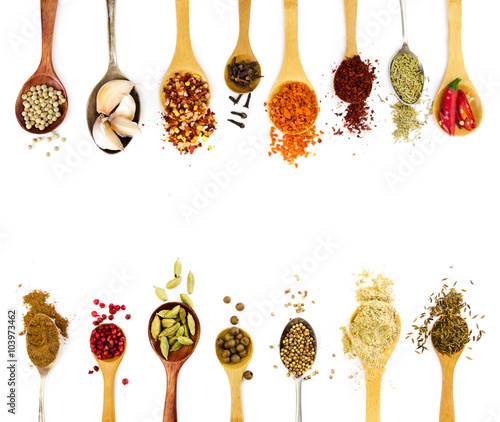 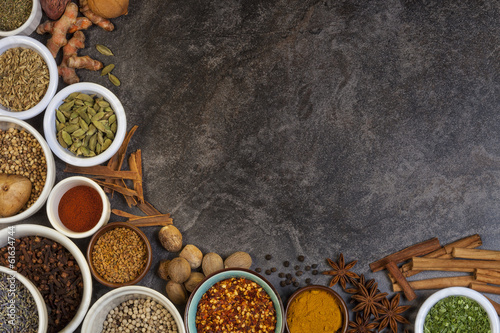 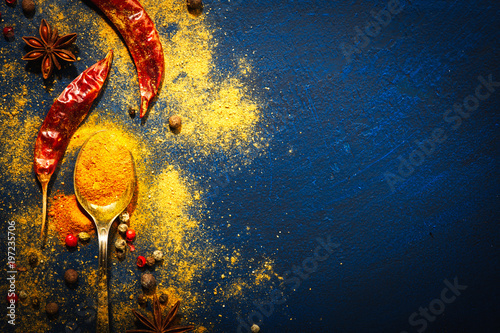 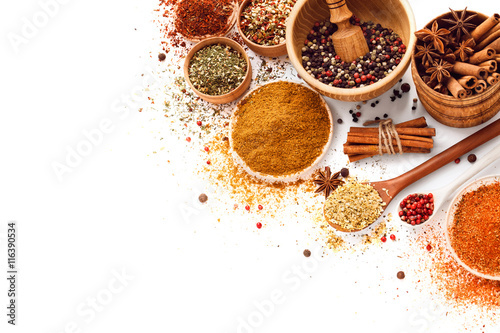 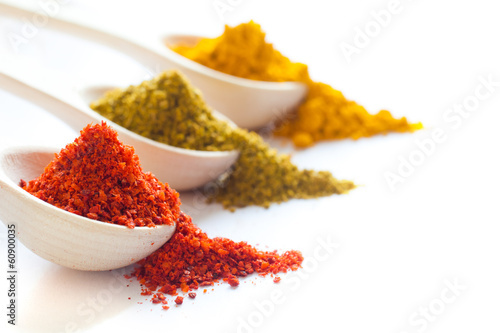 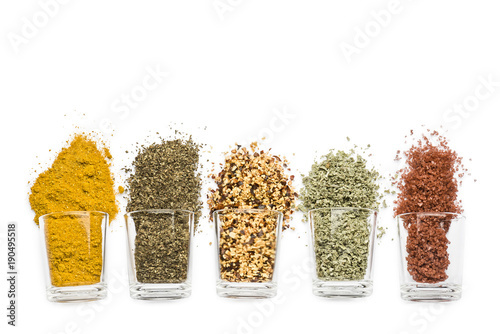 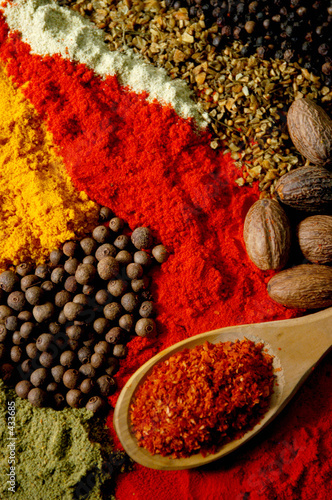 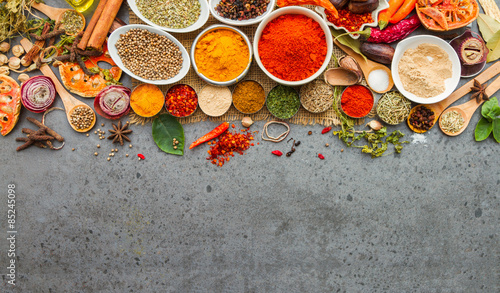 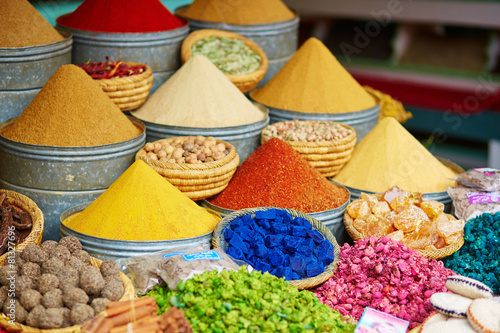 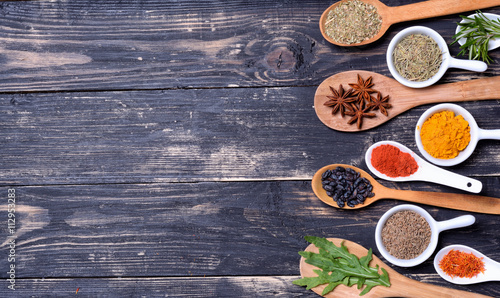 Variety Spices and herbs on black stone background, Top view with empty space background for texture. 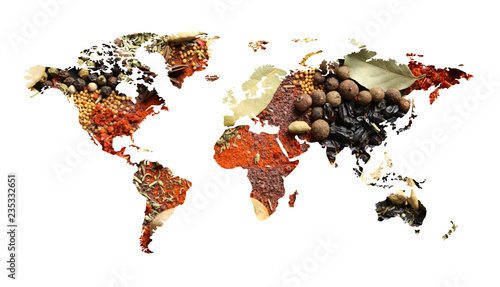 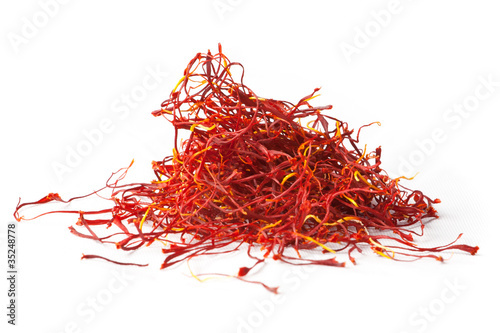 Italian food, eastern food concept. 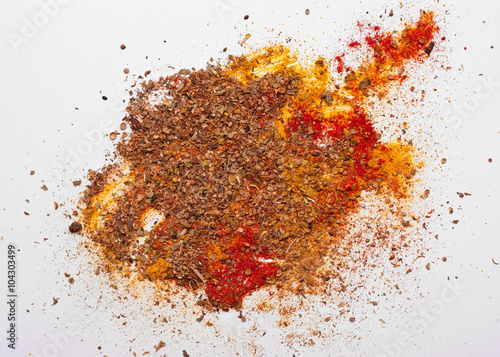 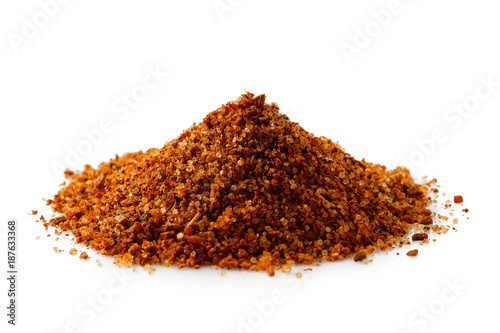 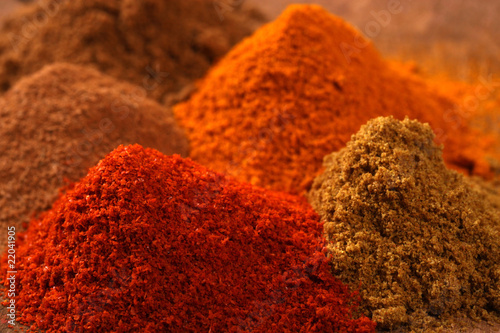 A pile of a red bbq spice mix ioslated on white.